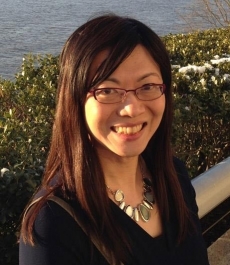 Our faculty affiliate Alexa Huang has received the American Council of Learned Society's Frederick Burkhardt Fellowship for her book project Shakespeare and East Asia (Oxford University Press). She will be in residence at the Folger Library for 2014-2015 to conduct research. The Burkhardt fellowships provide leaders in their fields with the resources to pursue long-term, unusually ambitious projects. The Burkhardt Fellowships are generously supported by The Andrew W. Mellon Foundation. They are named for Frederick Burkhardt, President Emeritus of ACLS, whose decades of work on The Correspondence of Charles Darwin constitute a signal example of dedication to a demanding and ambitious scholarly enterprise. Alexa Huang's book identifies three broad themes that distinguish interpretations of local cultures and Shakespeare in modern Japan, Korea, China, Taiwan, and Singapore from their counterparts in other parts of the world: they are leading to a more equitable globalization in artistic terms, they serve as a forum where artists and audiences can grapple with contemporary issues, and through international tour activities they are reshaping debates about the relationships between the East and the West. Asian interpretations of Shakespeare matter to Western readers because of their impact on American and European performance cultures, as exemplified by the worldwide recognition of the works of Ong Keng Sen, Akira Kurosawa, and their peers. The history of East Asian Shakespeares as a body of works—as opposed to random stories about cross-cultural encounter—allows us to better understand the processes of localizing artistic ideas through transnational collaboration.